The Joovy Scooter X2 Double Stroller is one of the few side-by-side double strollers that can easily pass through most doorways. With a 30 inch width and a maximum weight load of 90 pounds, this stroller is considered light, easy to maneuver because of its sealed bearings, and very stable with the twin front wheels. With the firm balance of the stroller, even on bumpy surfaces, the stroller will not tip over even though it can be a bit of a struggle. It’s possible to recline the seats individually to an almost flat position which is good if your children have an age gap. You can also adjust the footrest; work with the removable bumper to ensure that the children do not easily jump off. Both seats have the 5 point harness system with pockets for toys and, plush seats, and a wide canopy. It comes with 2 cup holders for adults plus a zippered storage for the usual knick knacks adults normally carry like car keys, mobile phone, audio player, earphones, and the like. The storage basket beneath the seats is larger than many other brands and can hold a ton of stuff. Unfortunately, the Joovy Scooter is not equipped to hold an infant car seat securely although there are some parents who have found ways to attach a car seat like tying it down with some string. The stroller has a height of about 17 inches and a depth of 37 inches. The handlebars are 39 inches and the back heights of the seats are 18 inches if the canopy is pulled forward. There is sufficient space between the 2 seats allowing some distance so the children do not bump against each other or feel the temptation to bop the other on the head. These specs should give you an idea of how practical the stroller will be for you in terms of the growth pattern and expected height of your child as a toddler. On the downside, the stroller is bulky and heavy unless you are used to carrying weighty loads. You will need a large trunk and good sizable area at home for storage. The seats do not have sufficient padding to allow for a comfortable nap especially in the area of the head. You will have to consider having tiny pillows to cradle your children’s heads while asleep. Fortunately, the basket is big enough to hold almost everything you need including the pillows. Finally, the stroller is on the lower end of the price range among double strollers and at the end of the day, you get what you pay for. It isn’t by any measure the best double stroller but for the price, it does the job adequately except on rough ground. 3 Safety Mechanism – Could it Protect Your Little Ones? 5 Handle Bar – Will It Exhaust You in the Long Run? 11 Although the Joovy Scooter X2 Double Stroller there are dozens of complaints about the product. 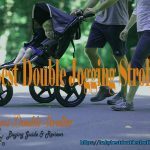 The most prevalent issue is that the stroller does not ride smoothly on unpaved road and this is not good for the babies. However, regardless of the many complaints, the stroller does a good job with careful maintenance and use. 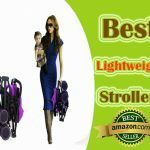 The best thing that make this product very advantageous than the other stroller products out there is its very good wheeling system. It has a new stylish grey frame made of graphite and has much bigger wheels than the ordinary ones. 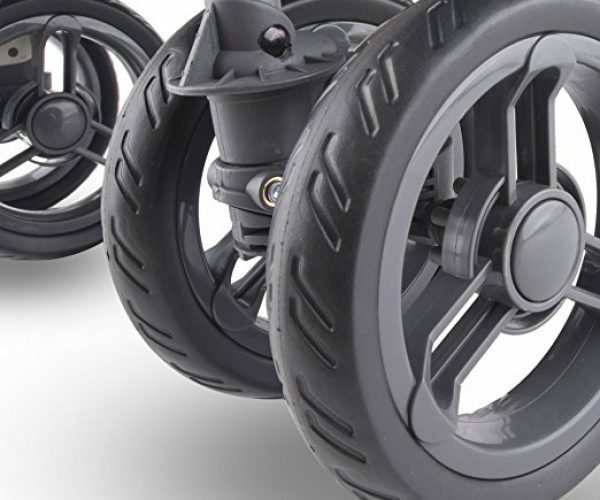 The 7-inch wheels in front and 9.5-inchr wheels in the rear make it much easier for you to maneuver the stroller than you have ever had before. The wheels have sealed bearings so it will be much easier for you to push kids that weighs up to 90 lbs. plus the double front wheels make the double stroller extremely stable while strolling two kids around. I find this product very helpful when going to the mall with kids as well as when we just want to have plain bonding time outside. In any product, we would certainly choose those that require very little effort in keeping the product or when preparing it in time that you are want to use it.The folding mechanism of this specific stroller product is amazingly good!Its quick, easy and one-hand fold makes this product the best breeze to put away.It would only take you a few seconds to fold the stroller up with just one hand. Aside from that, it also comes in 5 different vibrant colors that can add fashion sense to your baby’s wheels without sacrificing their comfort. You will also love the stroller’s seats and canopies that are well constructed with the super durable and highest quality 600D nylon. 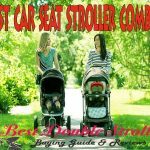 The canopy is a way much bigger than any other strollers made available on the market and the seats are fully adjustable, and very much independent of the other. You will also find this product all worth your spent money just like the way I do because what it boasts is surely for real. This Joovy Scooter X2 Double Stroller has a removable bumper car that is especially designed to stop your naughty kids from trying to climb out of the stroller. 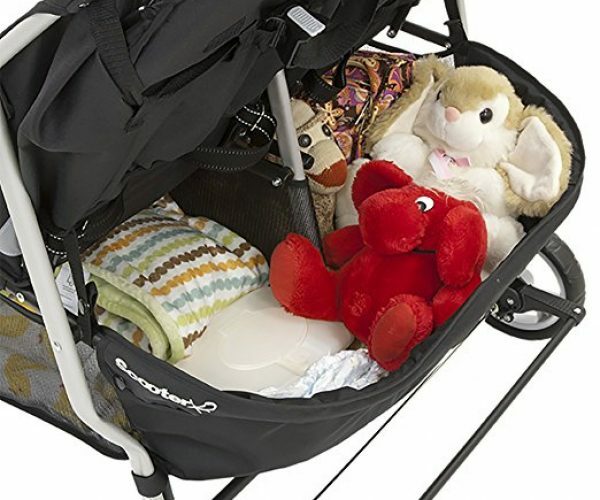 Each plush in the stroller can be reclined individually so it is possible to let one of your kids to recline back if he wants to take a nap to an almost flat position and the other one wants to juts plainly sit up straight. There is also a 5-point secure harnesses that can surely assure you that your kids are safely secured and comfortable in their own seats while pushing them down the streets. The materials used for the padding and seats are all with the highest quality.And any child, especially those with a very sensitive skin would definitely not a problem with this Joovy Scooter X2 Double Stroller. The seats and padding are smooth, soft and very comfortable to any type of kid and skin types. It also offers comfortable head and foot rests that are especially designed to ensure your kids are enjoying and comfortable in their ride with you. Many customers, including me, also love the 2 cup holders that are a great feature of this specific stroller. And I, just like anybody else, stores a cup of coffee and a second cup holder to store another water bottle. 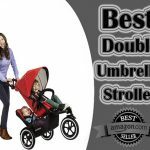 The handle bar of this specific stroller is very comfortable to the hands and pushing the stroller will not be an ordeal because the handles are soft but durable and the stroller itself is very easy to maneuver. The handle bar is not very much adjustable but its height level makes it very easy for you to hold or much easier for those persons in a wide range of heights to push the stroller without experiencing any problem. This Joovy Scooter X2 Double Stroller is available in 5 color combinations: Black,Orange,Red,Blubbery and Greenie. Editor customers, including me, patronize this product because of its high quality, huge storage, user-friendly and can fit in an average car trunk or passed through a narrow hallway or door. I love this product’s very good performance and uses that come in a very reasonable and affordable price. Investing on this product for my kids’ utmost comfort and ease is really a very good idea that I, for sure, will never regret spending my money for. What are you waiting for? Experience the fun with your kids outside by purchasing the Joovy Scooter X2 Double Stroller today. 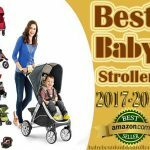 Be one of the customers who are all happy users of this stroller product.If you want to offer your kids with comfort, then try this one now. 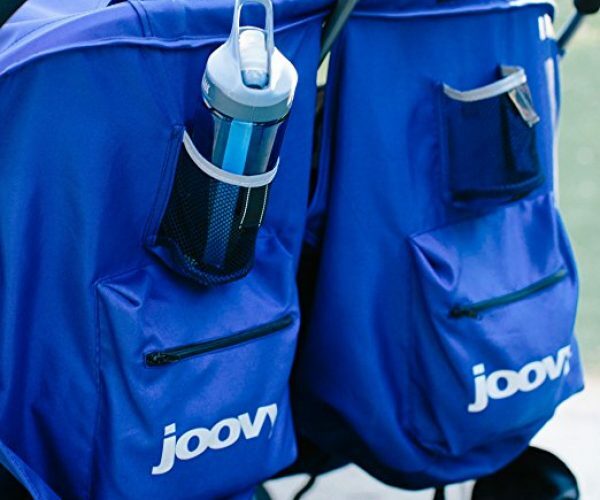 Although the Joovy Scooter X2 Double Stroller there are dozens of complaints about the product. The most prevalent issue is that the stroller does not ride smoothly on unpaved road and this is not good for the babies. However, regardless of the many complaints, the stroller does a good job with careful maintenance and use.